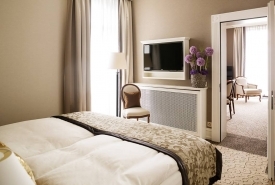 The PALACE LUZERN is a newly restored Belle Epoque gem. 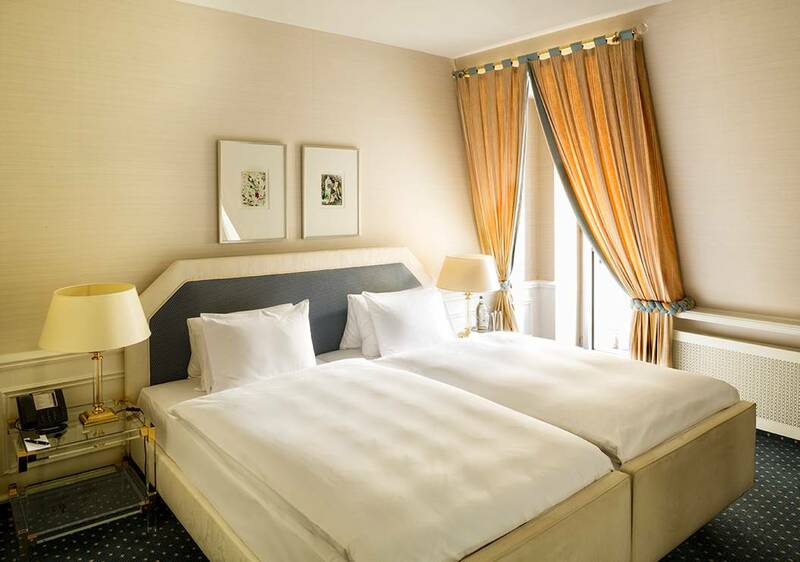 This distinguished, deluxe hotel boasts a lovely garden setting on the shores of Lake Lucerne, elegant appointments, and an atmosphere rich in tradition. 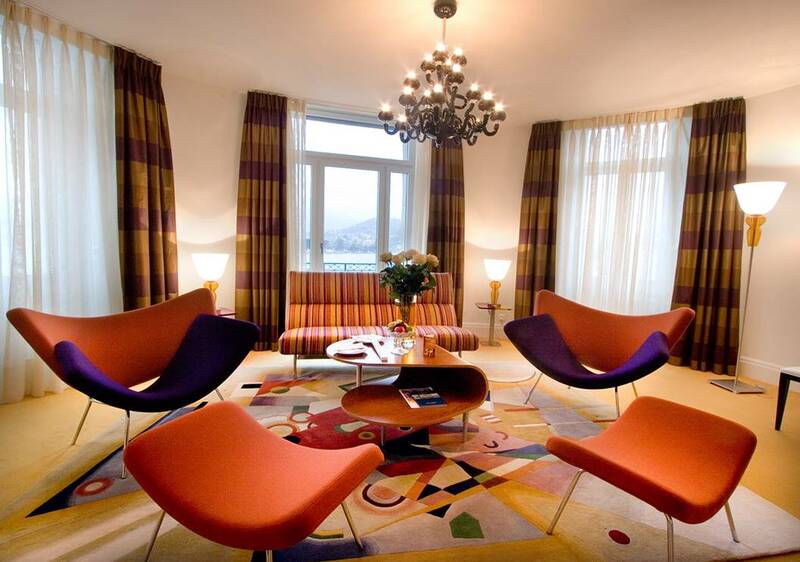 Many of its rooms are in the hotel’s original style, and all are outfitted with every modern convenience. 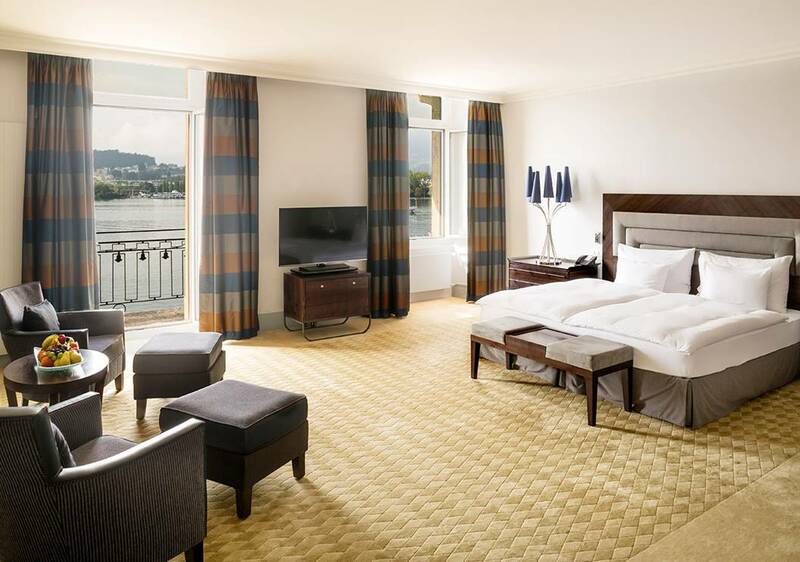 A rooftop terrace and executive lounge with spectacular views over Lucerne is available for guests of Junior Suites, Deluxe Junior Suites and Suites. 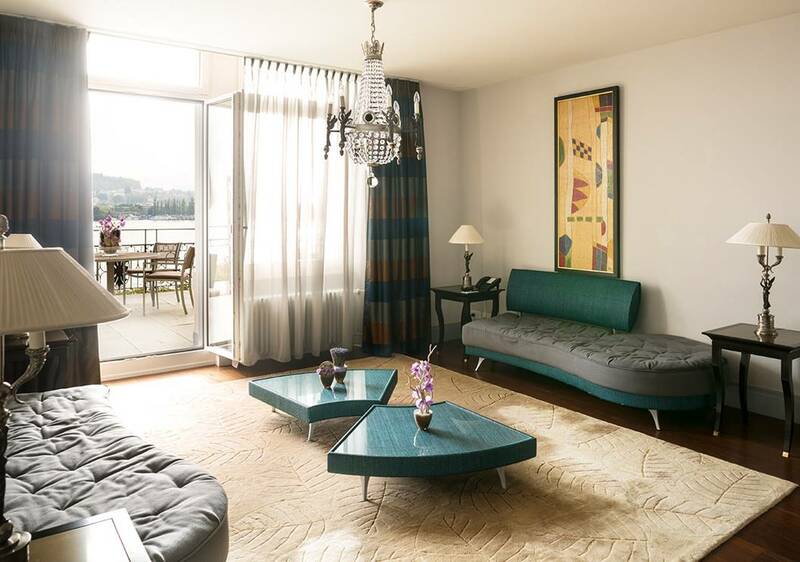 Private PALACE cabin and sun beds right in front of the hotel offer warm-weather visitors the opportunity to sunbathe and swim in the beautiful waters of Lake Lucerne. 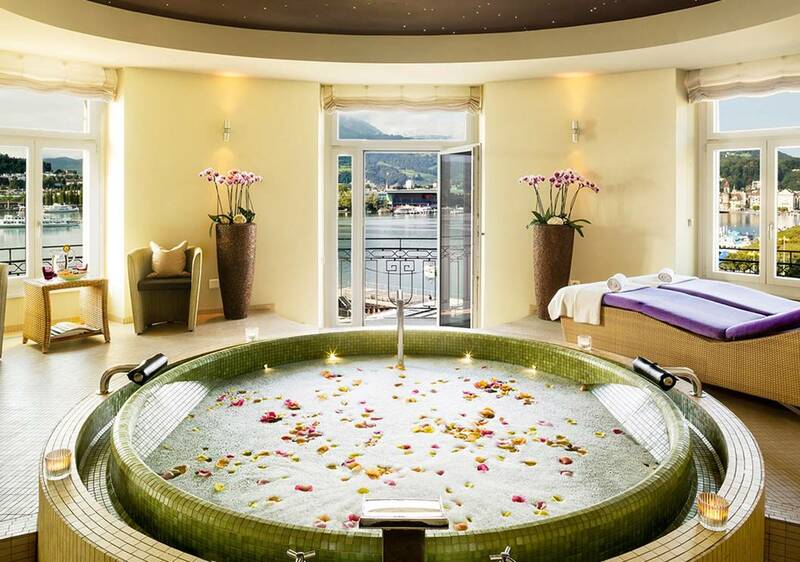 PALACE LUZERN offers spa-goers an exceptional experience at the PALACE SPA. In Spring 2014, PALACE SPA proudly unveiled the world’s first-ever giant singing bowl. Developed through 15 years of research on the singing bowls of Asia, this extraordinary new feature employs frequencies, created by striking the bowl, to stimulate every cell to vibrate harmoniously as the spa-goer either stands in the bowl or lies suspended in a hammock above it. 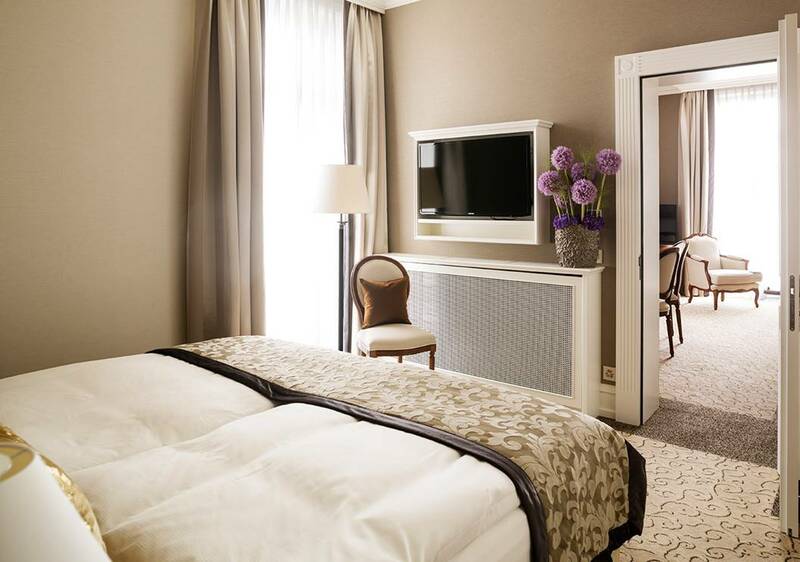 The PALACE LUZERN is an ideal choice for music lovers, who appreciate its proximity to the spectacular new Culture and Congress Centre. The center’s crowning jewel is its acoustically renowned concert hall, home to the Lucerne Festival and the Lucerne Symphony Orchestra. 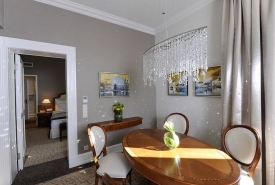 The Palace also hosts its own chamber music performances at the hotel, and its resident pianist provides elegant accompaniment to the hotel’s exceptional dining. 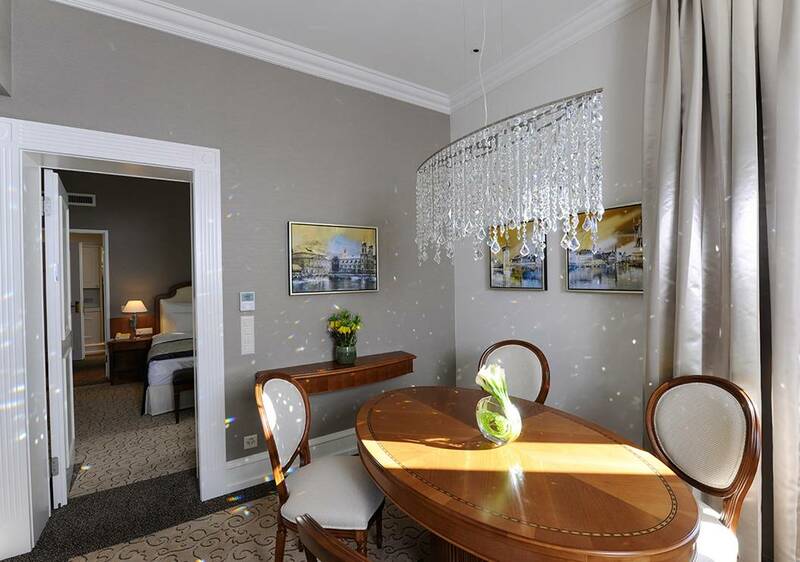 Guests will also find the PALACE LUZERN an easy stroll from Lucerne’s Old Town and shops. Or, they can enjoy a round of golf at a nearby championship course. The possibilities are endless. 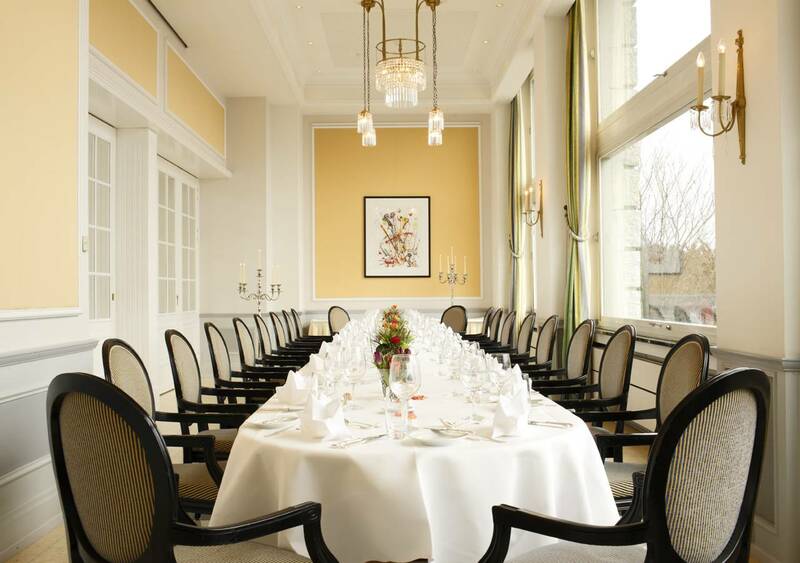 The PALACE LUZERN offers an exciting culinary experience for guests at one of Switzerland’s leading luxury hotels. 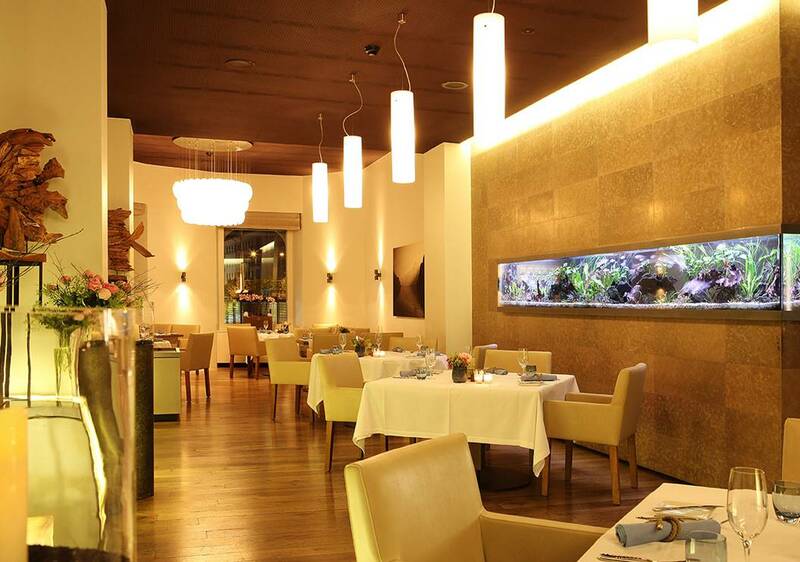 Marlin: Lucerne’s only fish restaurant, Marlin offers delightful fish and seafood dishes inspired by recipes from around the world served in a spectacular setting directly on the shores of Lake Lucerne, . In fine weather, book a table on the restaurant’s terrace and enjoy the unique views of Lake Lucerne and the Alps beyond. PALACE Bar and Living Room: The PALACE Bar and Living Room is the place to meet in the evening. Guests can enjoy relaxing piano music as they sit back in nostalgia-filled surroundings and chat with Central Switzerland’s most charming barman. In fair weather, guests can enjoy the Bar’s offerings on the adjoining terrace or in the Davidoff Cigar Lounge. Snacking menu. 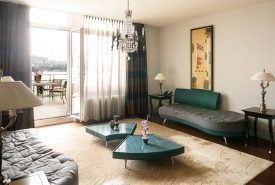 Davidoff Cigar Lounge: Choice cigars from around the world, comfortable leather armchairs and views of Lake Lucerne and the mountains of Central Switzerland are all on offer in the city’s only smoking lounge with lake access. Cocktails with specialty rum and whiskys are also available. Bring body and soul into happy harmony. Achieve inner equilibrium. And discover the precious treasure of time – time that stands still as stress ebbs away. 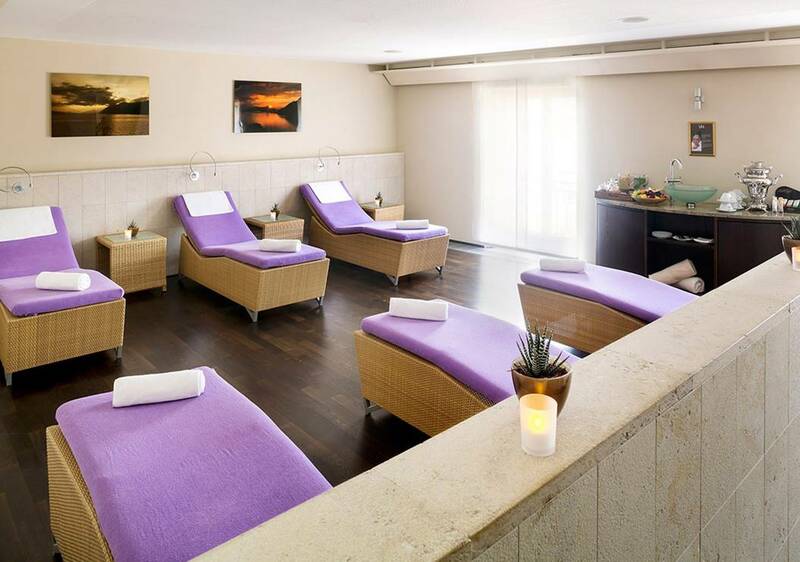 The PALACE SPA offers a remarkable range of health-enhancing treatments, each adapted to the spa-goer’s specific needs. The spa spans more than 800 square meters and comprises state-of-the-art saunas, steam rooms, lifestyle showers, ice fountains, a private spa for two, and the world’s first giant singing bowl. Exquisite aromas and musical magic permeate the atmosphere, seducing the senses and allowing body and mind to rest and relax. Guests can also now book the hotel’s rooftop terrace for a unique and pampering “girls spa afternoon,” including a bottle of champagne, strawberries and three wellness treatments per person (for up to four persons). All-in-all, the PALACE SPA offers a premier program of sophisticated treatments targeted to promote health and vitality for mind, body and soul. Golf: Enjoy playing golf on one of nine attractive nearby golf courses. Sports and Water Sports: The Lucerne region is a haven for hikers and bikers. Lake Lucerne beckons for a refreshing swim or an outing by boat. Running enthusiasts may enjoy a jog on one of the tracks around the lake. Culture and Congress Centre (KKL): Designed by French architect Jean Nouvel, Lucerne’s Culture and Congress Centre hosts many international music festivals and other world-class performances in its highly acclaimed concert hall. Shopping: The shops and boutiques of Lucerne’s medieval Old Town are a short stroll from the PALACE LUZERN. 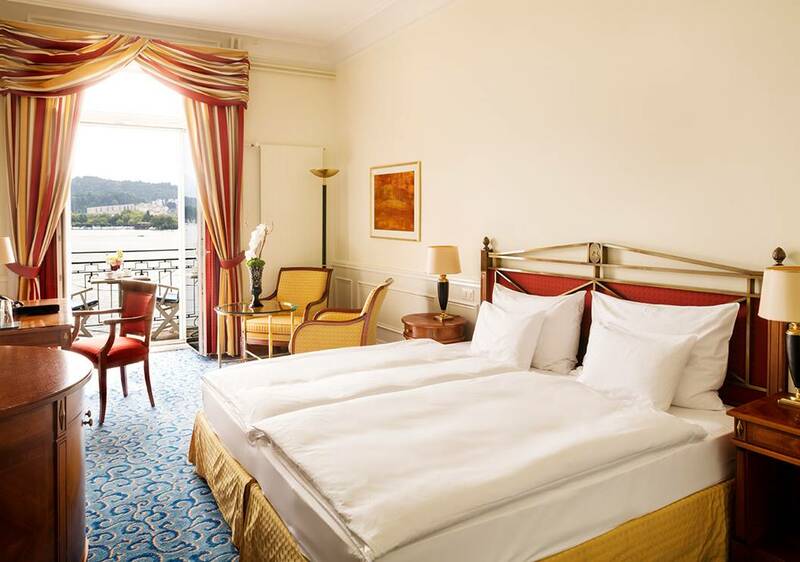 The PALACE LUZERN offers the finest facilities for events such as seminars, workshops, meetings, banquets and presentations. 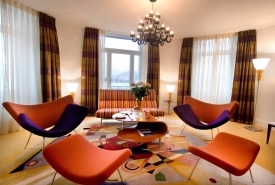 The hotel comprises 14 fully air-conditioned banquet and meeting rooms, with the capacity for up to 350 guests, all equipped with the most advanced technical installations and enhanced by natural daylight, as well as the finest furniture and fabrics. Two rooftop terraces are available for exclusive events, each for a maximum of 12 persons. Mount Pilatus: romantic atmosphere, beauty and thrills. Mount Rigi: delightful scenery and a grandiose panorama. Museums: Rosengart Siftung (Paintings from Klee, Chagall, Picasso etc. ), Picasso Museum, Swiss Transport Museum with the famous IMAX Cinema. Other attractions: Chappel Bridge and Water Tower – Lucerne’s most famous landmarks from the 14th century; Lake Lucerne cruises; Casino Lucerne; Old Town Festival; and “Seenachtsfest” with a magical firework display at the beginning of August, not to mention the many family activities in and around Lucerne. 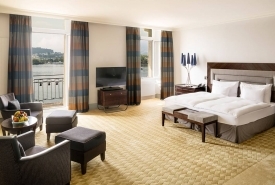 Lucerne’s only five-star hotel directly located on the shore of Lake Lucerne. Rooftop terrace with complimentary water, coffee, fruits and chocolate for all suite and junior suite guests. 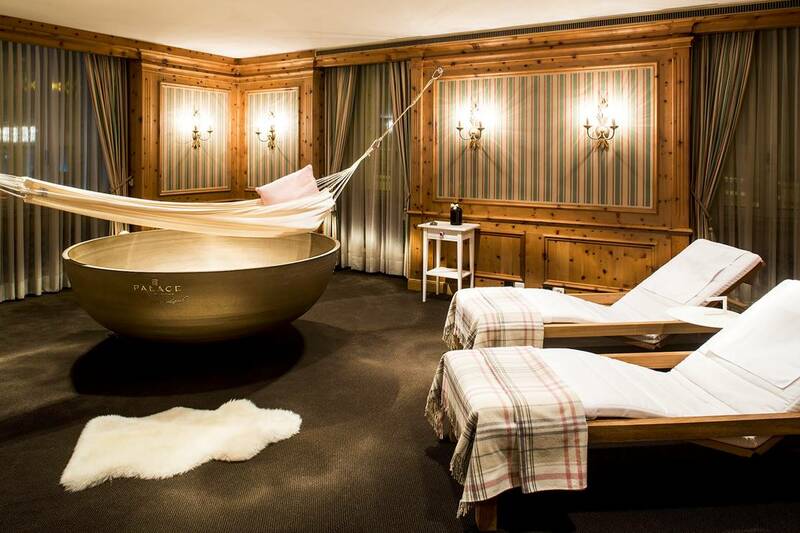 One-of-kind giant “singing bowl,” the world’s largest, used in an extraordinary spa treatment available exclusively at PALACE LUZERN. 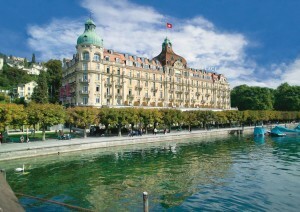 A 10-minute stroll from Lucerne’s Old Town, main station, shopping area, and sightseeing spots. Lunch and dinner lake cruises on original steamers. Proximity to world’s first Cabrio aerial cableway at Mount Stanserhorn, and the world’s steepest cogwheel train at Mount Pilatus. Excursions to Mount Rigi and Mount Titlis. Just one hour by train to Basel, Bern and Zurich for day trips. Saint Bernard dog excursions and photoshoots. Lucerne Festival: drawing international top performers and orchestras from the worlds of classical and contemporary music. Rosengart Collection: an exclusive collection of works by Klee, Picasso and 21 other artists of the 19th and 20th centuries. Blue Balls Festival: featuring rock and pop, blues and jazz, and folk music. Swiss Museum of Transport: internationally acclaimed and ideal for children, including a planetarium chocolate adventure and IMAX theater. Spectacular mountains for panoramic views, including Mount Pilatus with the world’s steepest cogwheel train and Stanswerhorn with its unique cabrio cable car. Other peaks include Rigi and Titlis. Glacier Garden: a discovery trip from the subtropical palm beaches of 20 million years ago to the glacier world of the last Ice Age. Chapel Bridge and Water Tower: Lucerne’s most famous landmark from the 14th century. 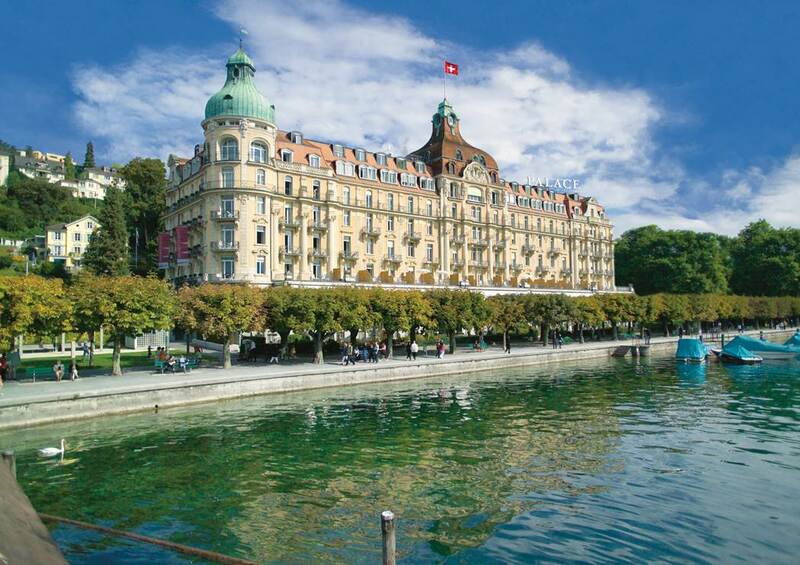 Lake Lucerne cruises: choose from five historic steamers and 20 cruise vessels. 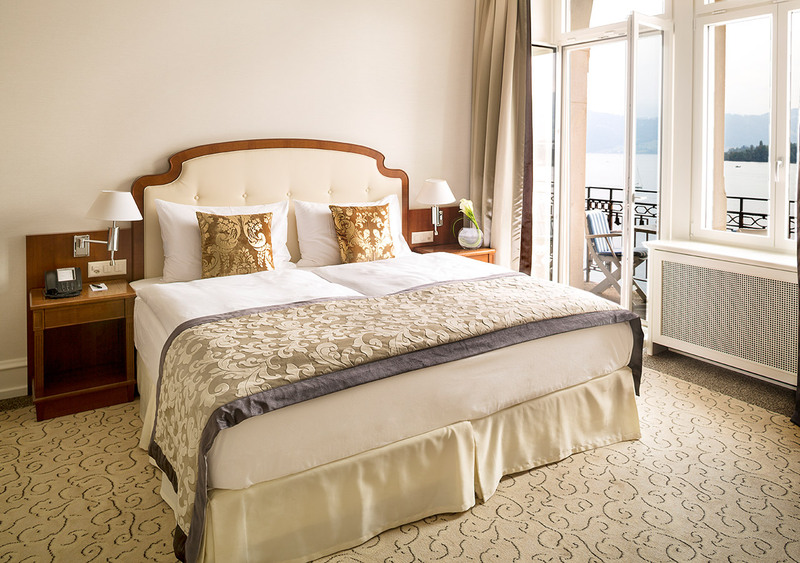 Note: PALACE LUZERN has closed as of November 5, 2017 for renovations and is looking forward to a grand return in 2019. Bern - 1 hr 30 mins. Basel - 1 hr 15 mins.